Estranged family members re-unite to determine whether to pull the family patriarch out of life support or not. The story of Ayhan Kaplan who is a bodyguard and boxer in Berlin. Oflu hoca is chairman of the Doganspor football club and he wants a new transfer for the club. He founds a player named Hayati and he goes to Luleburgaz for the transfer. Haspi is came out from jail at that time Haspi looks like Oflu hoca. A couple decides to tie the knot and has to whether the storm that is the groom's older sister. The story of a middle class family that wants to enter the jet set. When valuable objects begin disappearing throughout Europe, it's up to a band of brilliant babies to travel overseas and catch the thieves before it's too late. A brand-new comedy from the makers of the Güldür Güldür Show - Adventures await the Çirci family of Malatya when it's decided to pull the plug on patriarch Salih Çirci now that he's brain dead. Members of the far scattered clan come together with their disparate dreams, and the inheritance battles that erupt before the plug is even pulled give rise to all kinds of comedy and craziness. 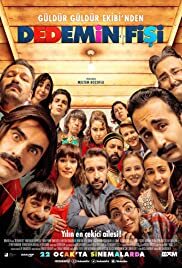 Director Meltem Bozoflu brings the Çirci family's hilarious inheritance issues to the big screen. It's good but not very very good because I don't like comedy films very well but I can say this film is the best of comedy films.